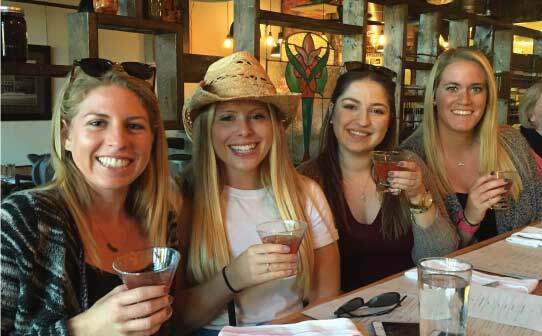 Recently named one of the top 15 food tours in America, Walk Eat Nashville offers food tours in neighborhoods that put Nashville on the culinary map. Taste local food, interact with chefs and learn about Nashville from trusted local writers. Walk Eat Nashville walking food tours offer a taste of the people, places and dishes making Nashville the new culinary capital of the South. We work with many of the city's top-rated restaurants and give you a behind-the-scenes look at Nashville's dynamic food culture. The ticket price includes all tastings, personal interactions with chefs and food industry experts, and an engaging, insightful guide. Choose from four delicious tours below or view our interactive Tour Calendar to see all tour dates. Experience Nashville's new culinary gems north and south of Broadway's famous honky tonks. Tours every Monday, Wednesday and Friday. Looking for a memorable corporate outing or a private tour with friends? Let us create a custom experience for you. We are happy to accommodate your request. "I discovered new businesses in my own neighborhood and got an unexpected perspective on places I thought I knew well.